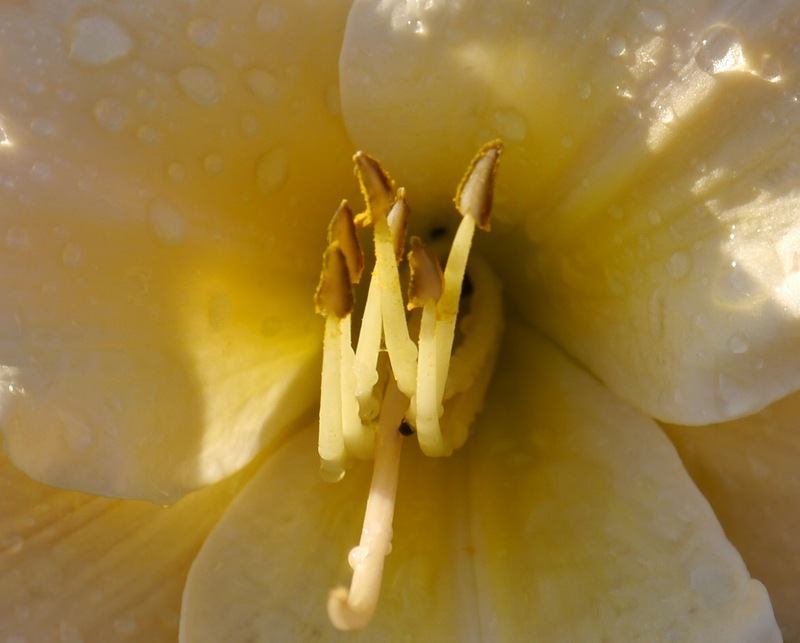 This entry was posted in Environment, Gardening and tagged hemerocallis gentle shepherd. Bookmark the permalink. looking at your Gentle Shepherd it looks darker than mine I might post a photo tomorrow….see what you think…. 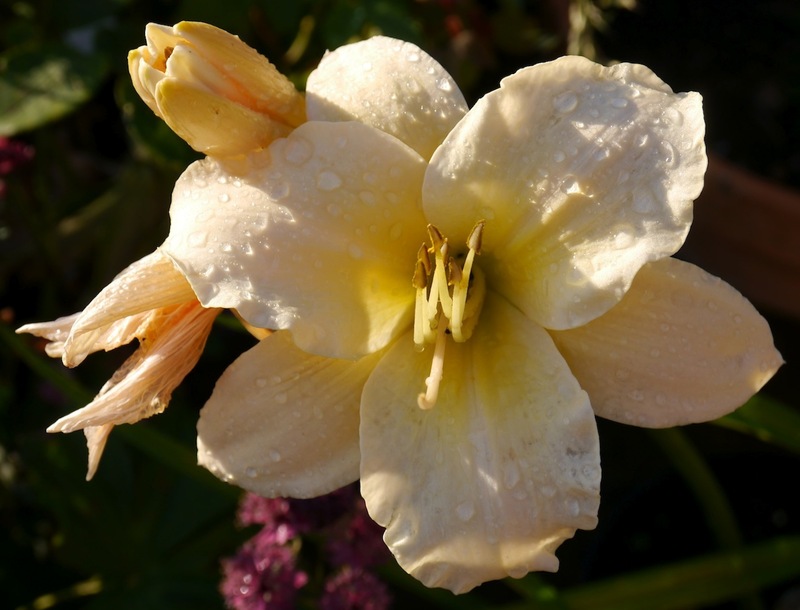 The flowers on my plants are much paler when they first open but take on a peachy tinge by the evening in strong sunlight. I have looked at some photos on the net today and they seem to vary between almost white and pale apricot! I agree! Each flower may only last one day but they certainly go all-out to impress. These are like paintings! Almost abstract, with shades of Georgia O’Keefe. Glad you like them. Do you think the dark ring round each raindrop makes the photos look more like paintings? I looked at them again after I read your comment and they do have a completely different feel to the photos taken when the flowers were dry. I think Georgia O’Keefe produced some fascinating paintings of flower centres; I was always rather disturbed by her picture of the horse’s skull adorned by white roses though. finally got round to reading your comment here,still taking me a little time to get my head round all this.Need to add more things to my front page !!! I’ve only been blogging for just over 4 months and I’m still learning how to get the best out of wordpress. I may add more widgets and put a personal photo in the blog header but the great bonus to running your own blog is that you can take as long as you like to perfect the layout.